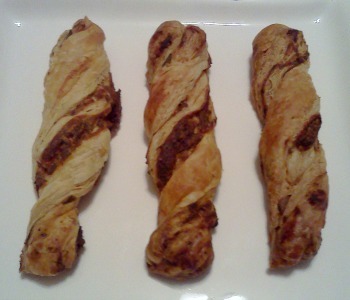 Easy Cheesy Twists Dog Treat Recipe - When you want to make an easy, tasty and impressive dog treat, look no further than our twists recipe. This dog treat just might have it all. Flavor, ease of preparation and it looks fancy. In the end it always comes down to the taste. This homemade dog treat packs a taste explosion with three herbs, cheese and a savory puree. Have you run out of time to make homemade dog treats? We understand, sometimes it's a challenge to make our own healthy food, let alone yummy treats for our dogs. Just because you are short on time doesn't mean your dog has to go without healthy dog treats. We like Fruitables Dog Treats as a natural and healthy store bought dog treat. Now, don't get me wrong, I still think homemade is best. But, these are a nice alternative. 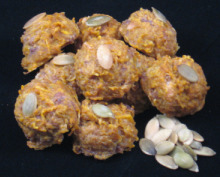 Have you seen one of our dog treat recipes and thought, my dog would love that! Then you got busy and forgot to make the homemade dog treat? That's why we've started a new feature of "Dusty Dog Treat Recipes" to remind you of the healthy and delicious homemade dog treats that you may have forgotten about. If you haven't forgotten these particular ones, and you have made them, be sure to fill out the Dog's Taste-bud Feedback on the bottom of the recipe's page so all of our visitors can read your review and experience. If you've never made liver dog treats for your dog, now's the time to face your fear. OK, you may not be afraid of liver, but it is a smelly ingredient. However, I can almost guarantee you've never seen your dog quite as excited about a treat as she'll be when she has her first homemade liver snack. Go ahead, make these delectable liver brownies. Your dog will be glad you did. Our second dog treat recipe is a super quick and easy one. 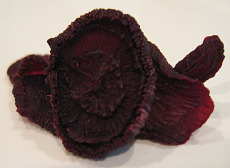 Try our Beet Chips Recipe for a simple vegetarian treat that you and your dog may enjoy. Our third trip down recipe memory lane is a personal favorite. Have you ever slipped your dog a tiny piece of sausage? I bet you were followed around for at least 15 minutes to see if you had any more tidbits to hand out. Make our Pumpkin & Sausage Dog Cookie and see that it is as much fun to give to your dog as it is to bake. If you can't find pure pumpkin out of season, you can replace it with 2/3 cup of another dog friendly cooked vegetable puree. "Firstly, a big thanks to you and kudos to you. Brilliant job. I love your recipes and just love what you doing. My stray dogs enjoy them. I feed my friend's dogs, too. :)"
What's New for the September issue? We'll have two new dog treat recipes right here next month. 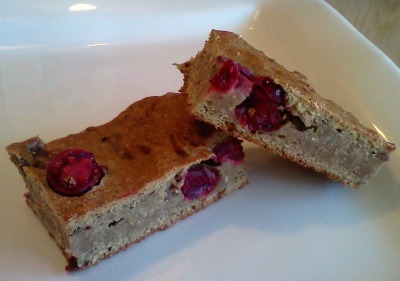 We'll feature a tasty Triple Apple Cake, plus a breath busting Carbon Dog Treat Recipe.